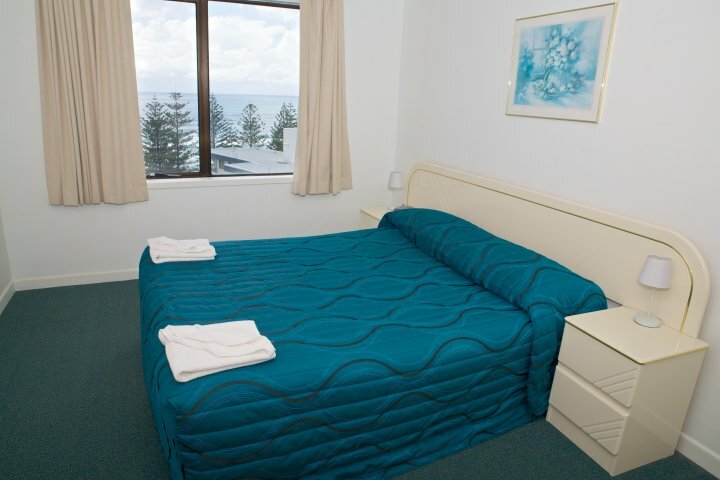 Spacious, comfortable, clean and affordable are just some of the words our guests use to describe Horizons Holiday Apartments. 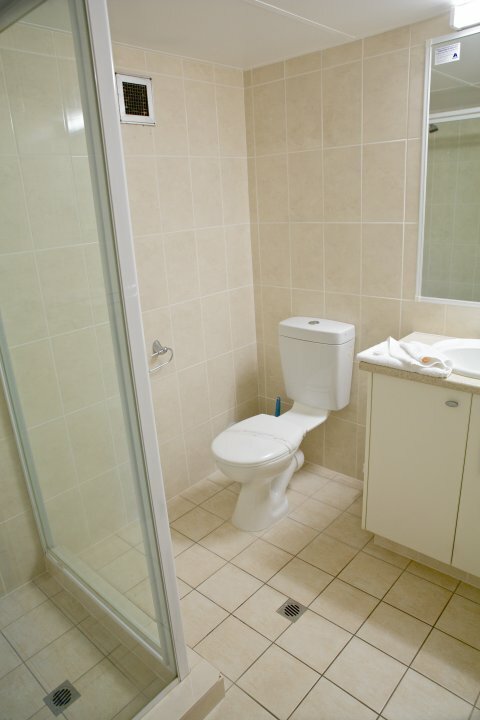 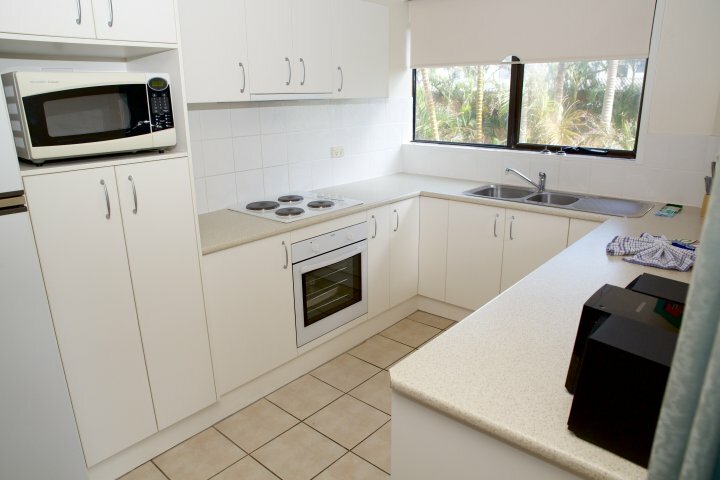 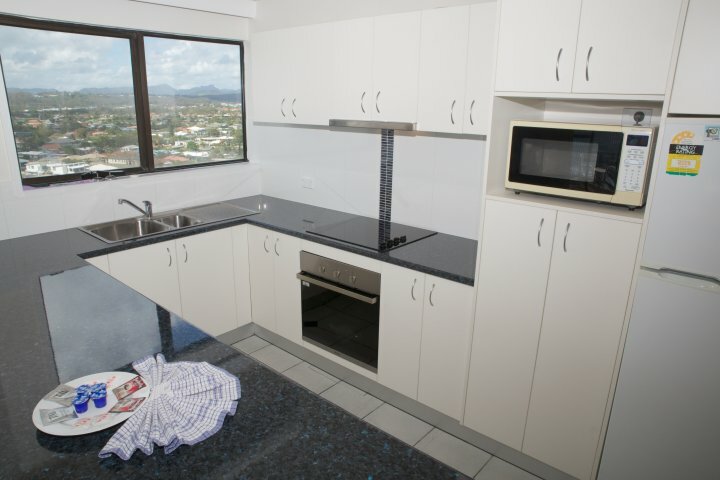 All units are fully self contained, featuring a fully equipped kitchen, dishwasher, microwave, two bathrooms, washing machine, dryer, colour TV, Foxtel Wifi access (charges apply) and sunny private balconies. 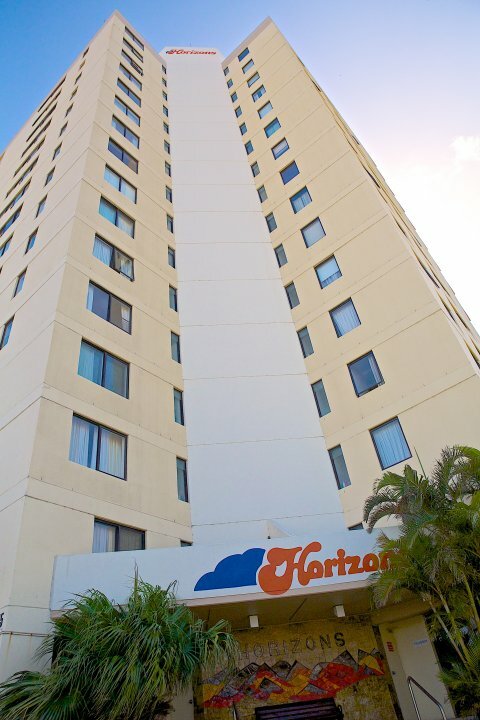 At Horizons you can do as much or as little as you like! 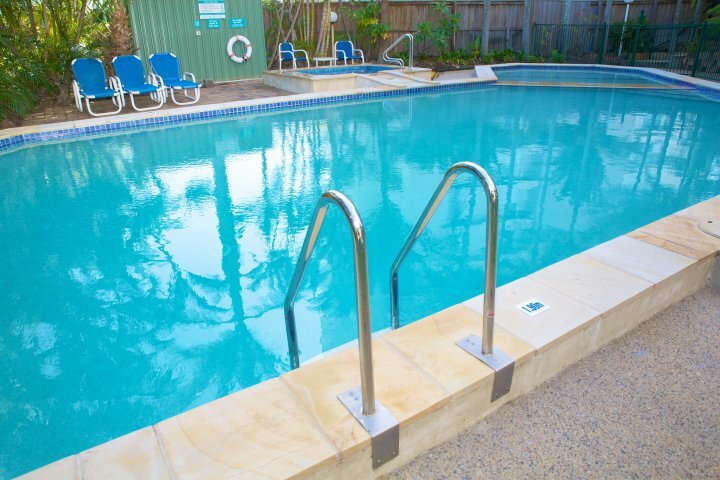 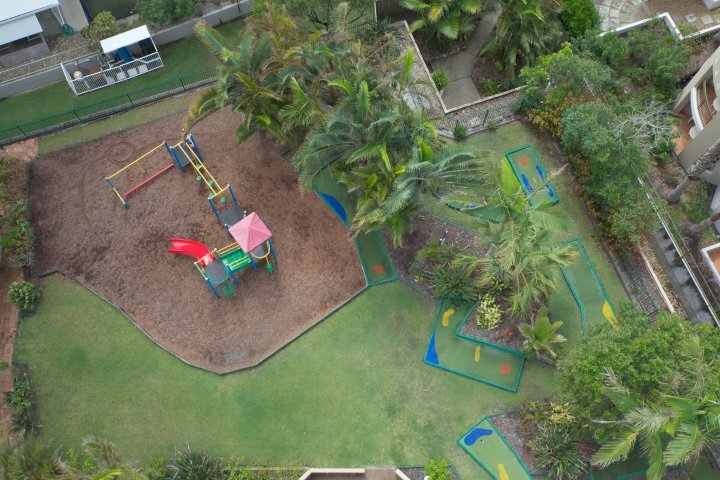 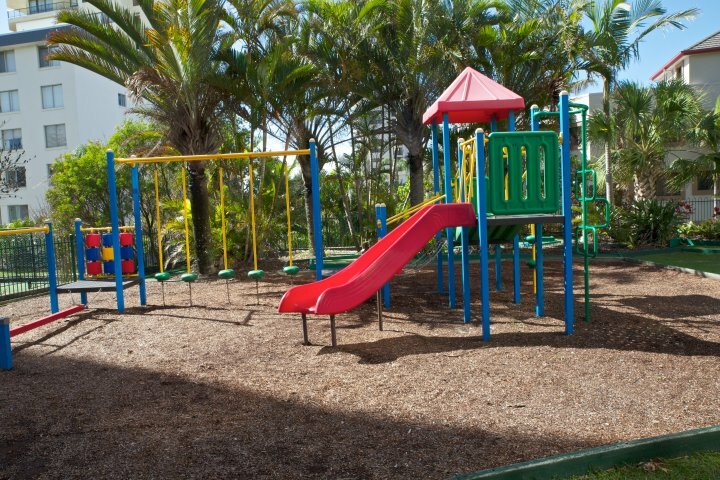 Enjoy our heated pool and heated childrens wading pool, spa, sauna, large play-safe playground, games room, BBQ and outdoor entertainment area, or even partake in a friendly game of mini golf, all without leaving our tranquil garden setting. 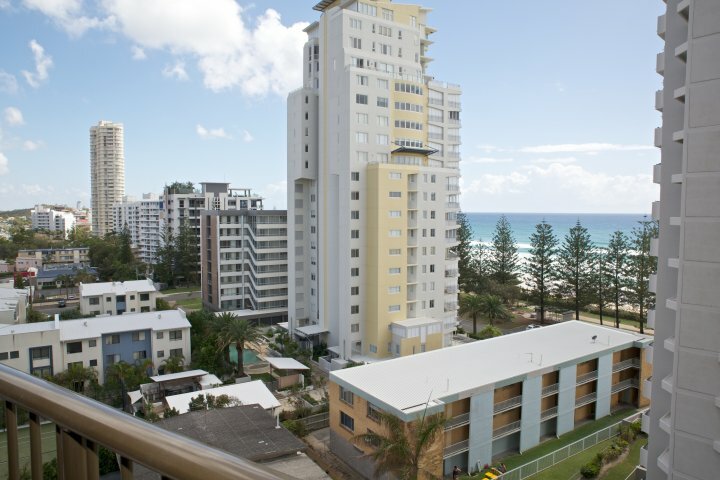 Take a short stroll along our private walk way to beautiful Burleigh Beach or for the more adventurous we can organise all your tour and tickets so you can enjoy the many sites and attraction on offer at the Gold Coast! 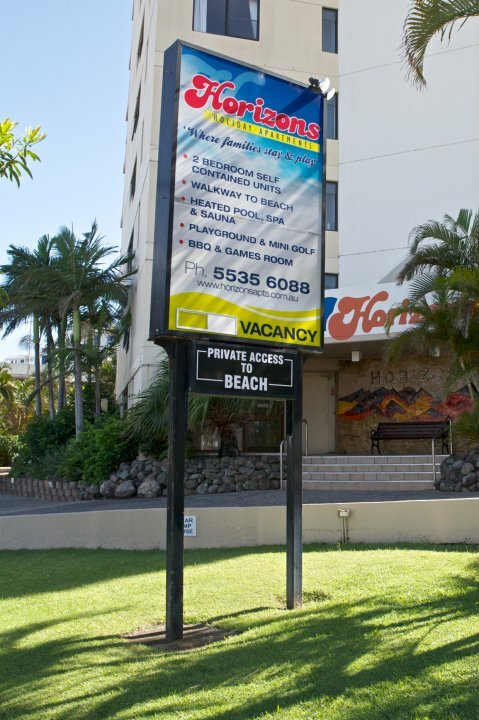 Our friendly on-site managers are committed to ensuring your holiday at Horizons is a holiday to remember. 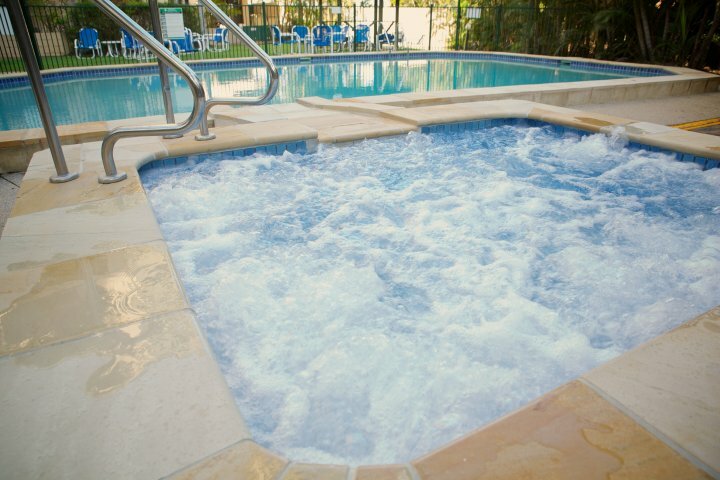 Now is the perfect time to book your stay at Horizons with this exclusive package. 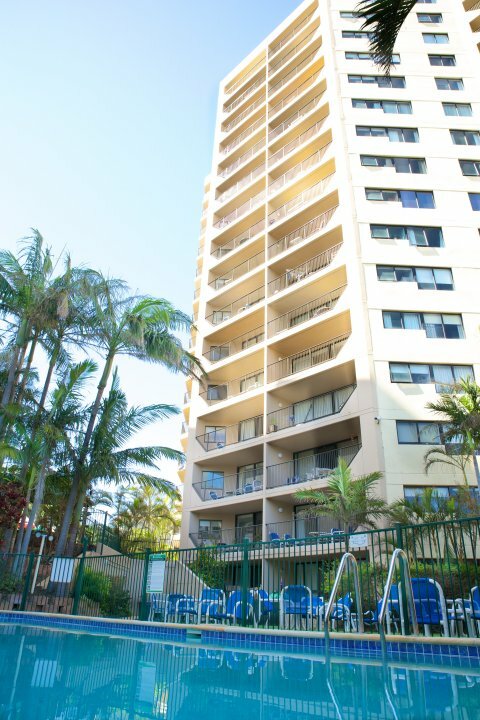 You'll get 7 nights accommodation in a 2 bedroom apartment PLUS unlimited entry to Dreamworld, WhiteWater World and SkyPoint Observation Deck for 7 consecutive days PLUS you can explore the stunning Gold Coast on a 1.5 hour cruise! 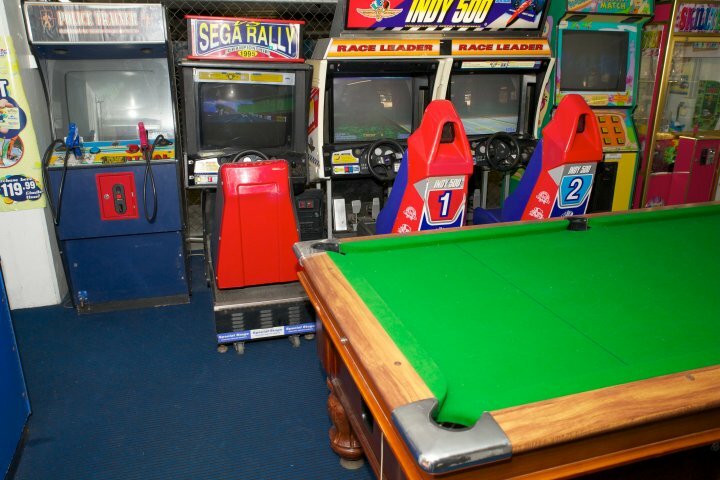 - After hour key collection can be arranged upon request. 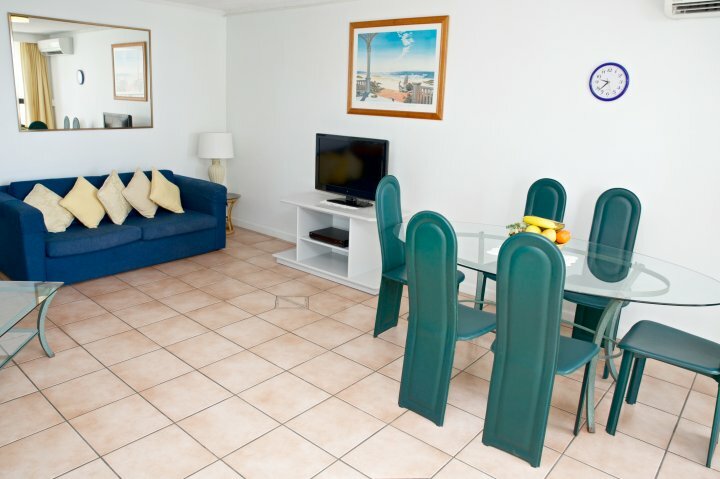 Prices quoted are for up to 4 people per apartment. 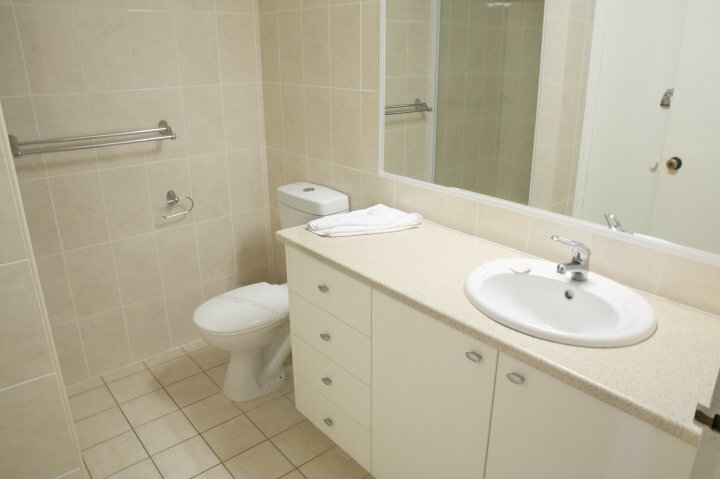 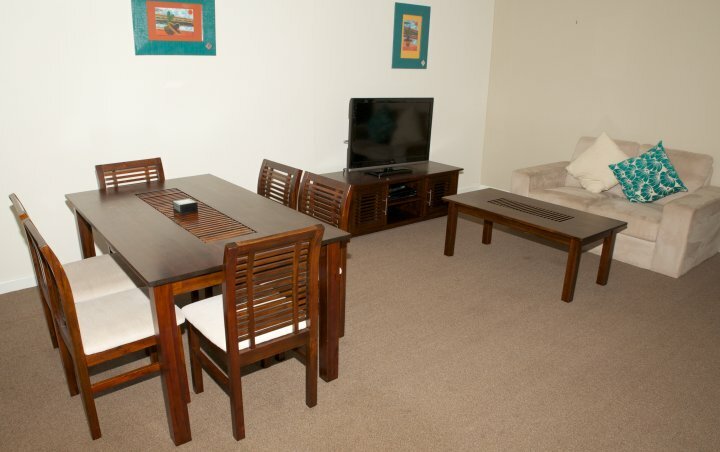 However, our apartments can cater up to 6 people. 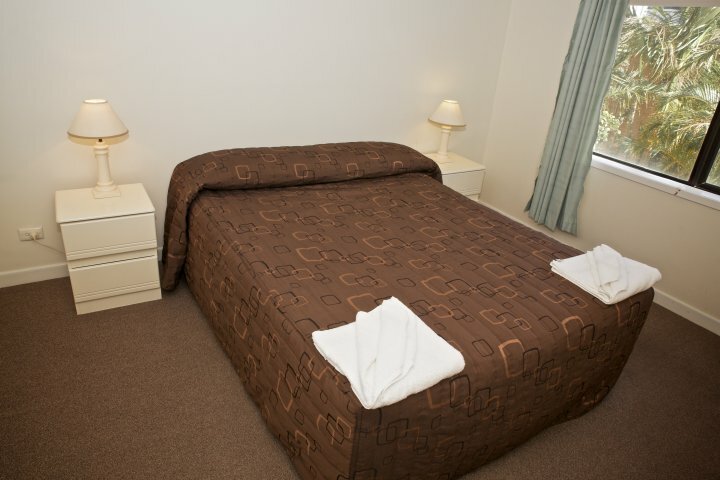 The additional two guests are catered for on rollaway beds, bunks or sofa lounges depending on the configuration of the apartment. 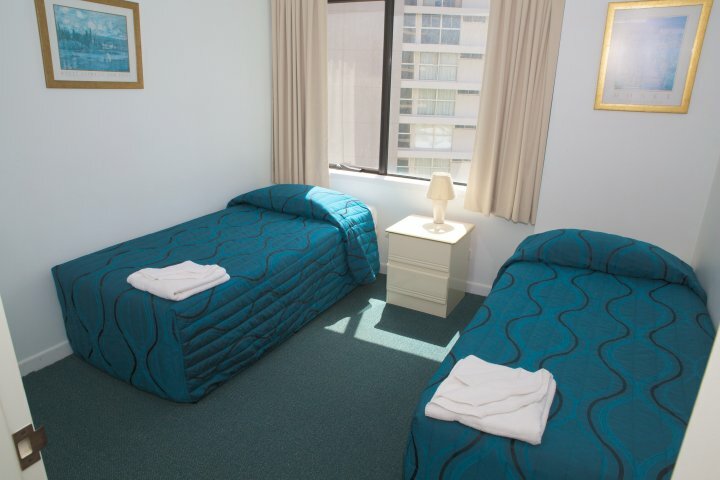 Charges apply for the extra 2 guests. 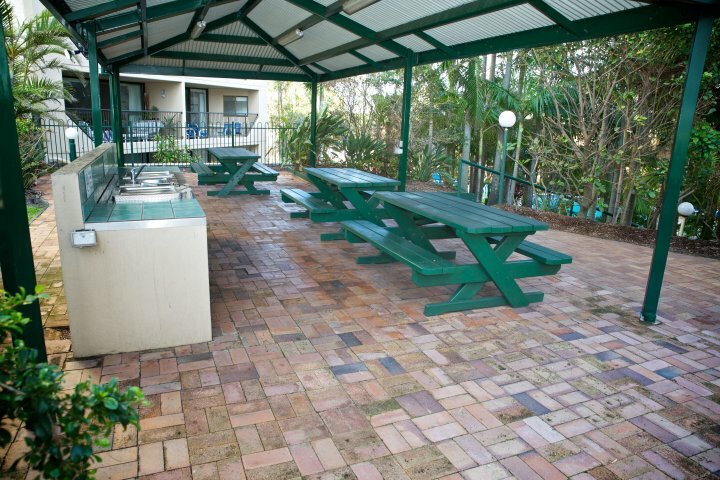 On site, two level undercover security parking. 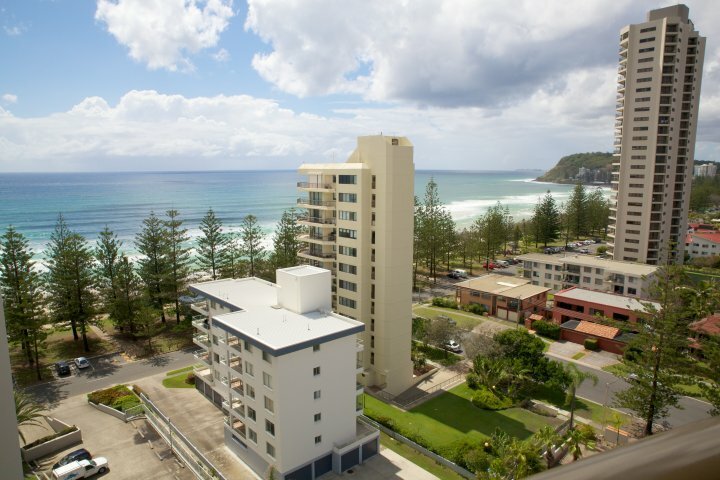 50 metres from the golden sands of beautiful patrolled Burleigh Beach. 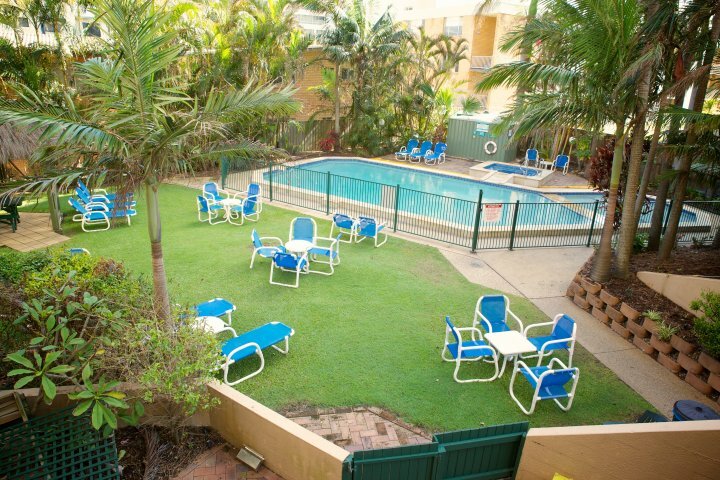 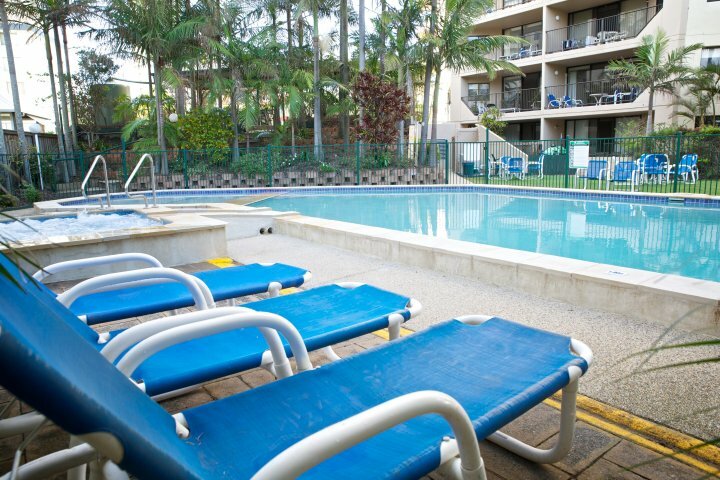 A short stroll from numerous cafes, bars, clubs (Bowls & Surf), conveniecne stores and fine dinning restaurants. 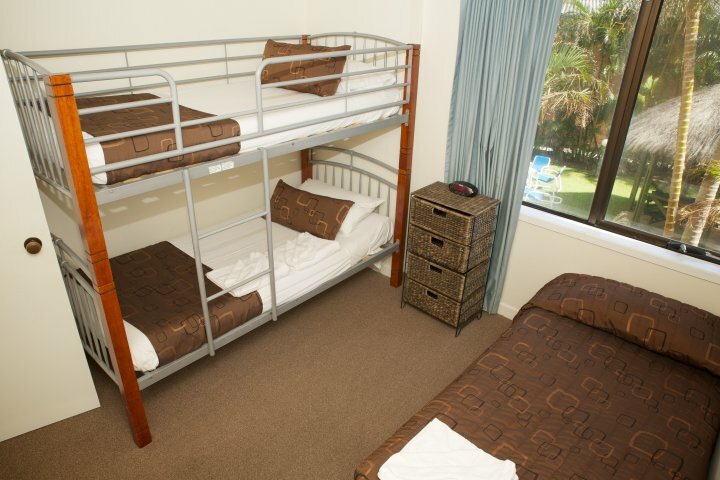 25 minute drive from famous theme parks including Dreamworld, Sea World, Movie World and Wet n Wild. 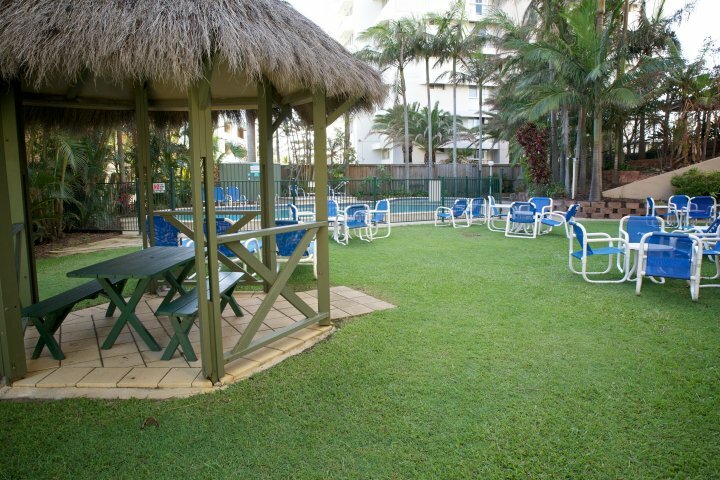 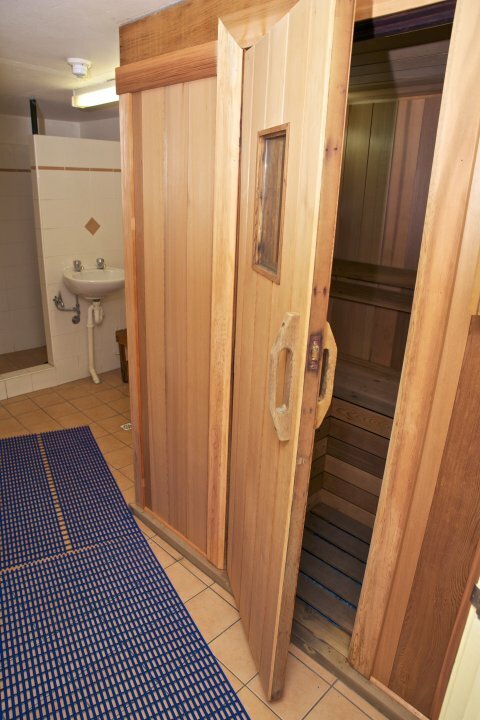 10 minute drive from the massive Pacific Fair Shopping Centre, Jupiters Casino and Draculars Theatre Restaurant.